A precise description of the pathogenic mechanisms of diarrhea in inflammatory bowel disease is impossible, for the gaps in our understanding of the physiology of absorption and transit in the small and large intestines are prominent. Given this shaky foundation, all that is certain is that mucosal inflammation must derange these still obscure, normal mechanisms quite variably. 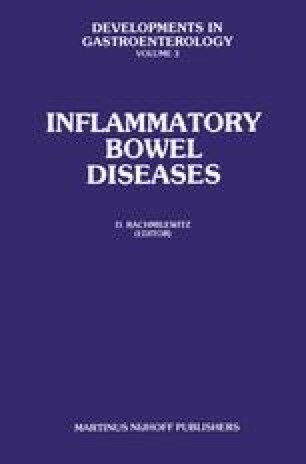 Moreover, the clinical spectrum of inflammatory bowel disease is quite wide, anatomically and qualitatively, and it is necessary to distinguish clearly several major categories. The important divisions should perhaps be 1) disease confined to the colon, 2) disease of the small intestine, and 3) diarrhea after proctocolectomy and ileostomy.